The Motown catalogue has been plundered over the years, & many crimes have been committed against this legendary label (Bowie & Jaggers “Dancing In The Street” being a prime example). 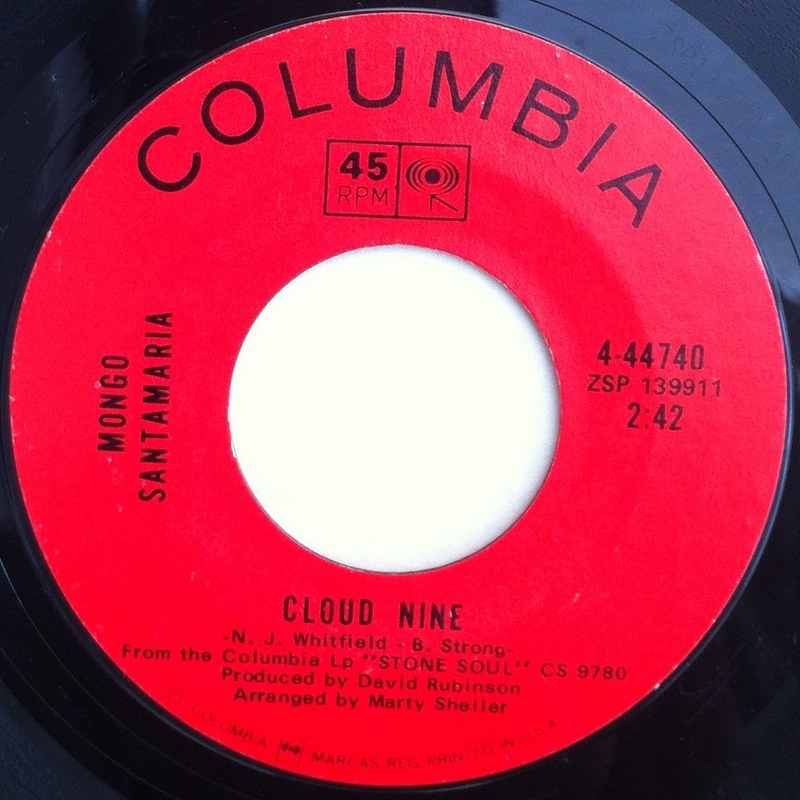 Mongo Santamaria takes on “Cloud Nine” (the classic Temptations track) & wins!, heavy bass, drums, percussion & mega loud cowbell backs up the brass cavalry for a full funky latin jazz onslaught. This track reminds me of the Jimmy Castor Bunch “It’s Just Begun” , I think it must be a bass & cowbell thang?. I think people are more familiar with the Mighty Clouds Of Joy’s version of “Time”, which is great, but doesn’t hold a candle to Jackie’s version. 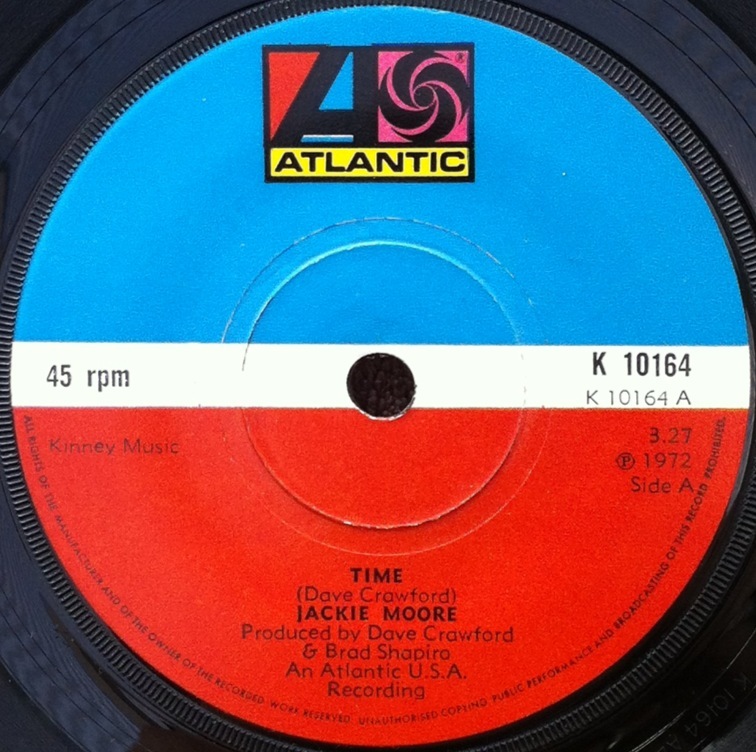 This powers along with some seriously fat drums, choppy wah wah guitar & some tight memphis sounding horns, I love this track, & I remember when I first found this single, playing it over & over again, because I couldn’t believe just how good it is! Kinda messed up, as this technically is day 5, but I had to go on a road trip yesterday, so things got a bit messed up. Anyways, enough of this wittering on & lets get stuck into the music! This is the B-Side to “Maybe I’m Amazed” which is a lovely cover by Lena, but the B-Side “Feels So Good” unleashes Lena’s femme funk side, with buckets of soul & a tight ol’ brass section. Another one from the magic box that provided day 1 & 3’s offerings. Instagram have been running a record a day for a few months, due to the constraints that they put on the criteria of each day, I found it difficult to find something everyday to post. So I’ve decided to do my own vinyl challenge, & I’m going to post up a 45 (7″ Single) everyday from my collection. 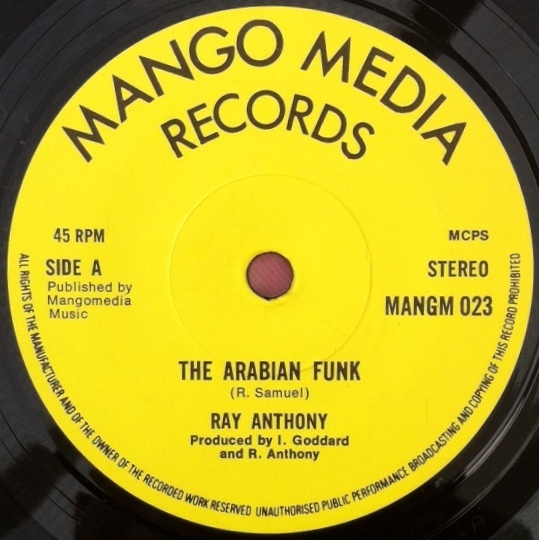 I’m not sure weather to go in alphabetical order, but it just so happens that today’s platter is by Ray Anthony & is called the Arabian Funk. I found this a few years ago in a charity shop, along with a really good bunch of other singles. It’s got a great hard sound to it, with an over blown sax line, juicy moogs & some concrete drums, niceness all round! This has appeared on a compilation called “Movements”.